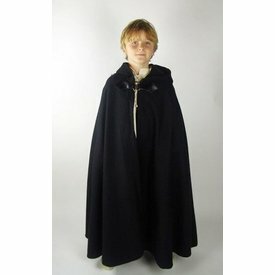 This children's cloak is made of a wool mix. 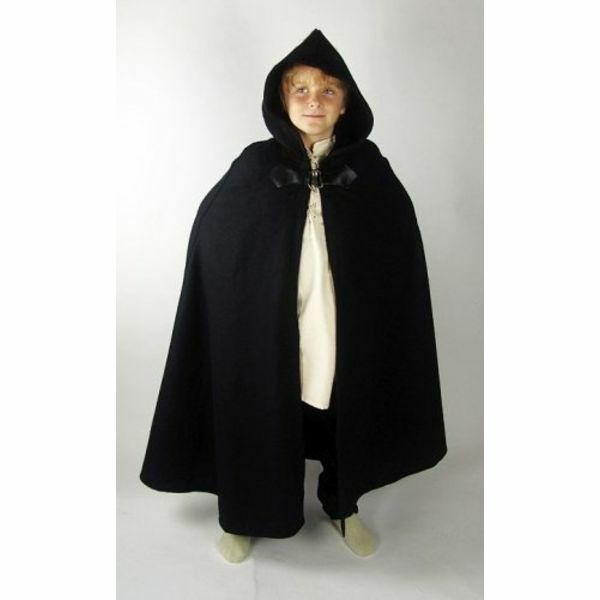 It has a hood and can be closed with a buckle at the front. 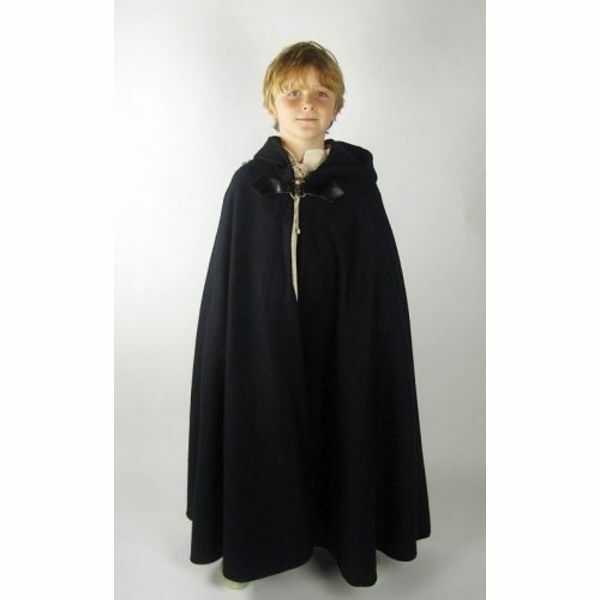 The cloak is 105 cm long and ca. 240 cm wide. It is available in black and cream.